1/ FashionGHANA.com currently does not hold onto the items nor stock the items, we will only act as a mediator between designers and clients via online payments. Designers in towns where we are based will most likely have their items collected and delivered by FashionGHANA.com, where we will take full responsibility of the delivery process as well as take the opportunity to double check the items. Designers abroad Will be provided with full delivery details upon completion of the product and will only be paid after the client has received the goods. 2/ FashionGHANA.com will not accept images with unprofessional photography. FashionGHANA.com has the right to decide upon what images are up to standards for our boutique and will allow the retailer/designer to opt to have our team shoot the clothes where possible. 3/ Where a photo shoot is needed for a featured item, a financial contribution of 150GHC will be requested to cover the models, photographer and all involved, an alternative price can be agreed upon regarding the number of items being proposed by the designer. 4/ If the designer wishes to do their own pictures, FashionGHANA.com will then request a specific look and certain angles of shots, and might need to approve the models before use. 5/ All financial terms can be discussed and mutually agreed between the designer and FashionGHANA.com but must either be recorded by contract or official public emails. All designers will be asked to give a retail price. This price should be enough to allow FashionGHANA.com to sell the designers garmants at the same price as the retailer without issue. At any point if the public price of the item is reduced by the designer, FashionGHANA.com will have the right to reduce the return price for the said item. FashionGHANA.com also has the right to increase the price of the items where it sees fit. For designers work that will be featured in the designer collection gallery, Please note that your item price on FashionGHANA.com will be displayed with the cost of delivery included at an increase of $50. For example if your return fee is $150, FashionGHANA.com will pay you $200. If $50 dollars doesn’t average to cost of delivery in your country then do let us know immediately. 6/ For designers seeking to sell their clothes in the designer collection gallery, designers must ensure he is capable of selling a minimum of 3 outfits, unless it it a collectors item where it is a very large or expensive product and very visible that it is far from easy to produce. ie. Avant Garde dresses, dresses made with expensive jewelry, ie gold, diamonds, etc. For all other designers, you will need to be able to sell a minimum of 10 items. 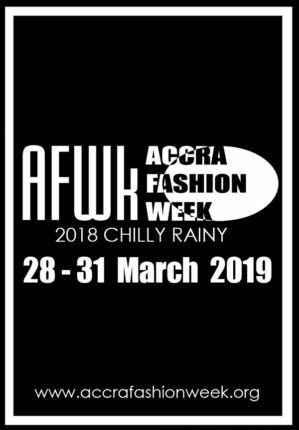 7/ The Designer will have to inform FashionGHANA.com if they are out of stock of a particular product, at which it will then be removed from the site. 8/ FashionGHANA.com will have a maximum time target for item production provided by you to get our gifts to our clients after payment has been made. ie. This dress takes 2 weeks to make. This will be the standard time we expect for the said designer/s to have their ordered item/s ready after they have been informed about the order. If the designer fails to produce the item in the given time without advanced notice, we will work with an external tailor/designer to try to duplicate the item if the item has been already ordered. This can be overlooked if the designer has an order in large amounts (e.g over 3/4 or more items) The designer would be fully informed and made aware at anytime if and when we decide to do so. 10/ FashionGHANA.com can not promise the sales of any item and open to the fact that as some items may excel, there are possibilities that some may not sell at all. 12/ FashionGHANA.com has full control of the price it chooses to sell items for. 13/ Once the item/product is bought online, FashionGHANA.com will have the right to hold onto the money until the client has received the item. This is to ensure if any problems occurs we will have the ability to refund the client if the designer is at fault or the item is not delivered. 14/ This process is applicable for 6 months for items in the designer collection gallery and 1 year for others. Beyond this point the deal will continue until FashionGHANA.com or the designer wishes to have the product removed. If you like what you see, then please send us images from your latest collection, and we will reply to you the items we would be more than willing to feature/retail. If there are any points that do not sit well with you, we are always open to discuss and overlook the matter. We hope to hear from you. Preference: At FashionGHANA.com, we do like to take time to decorate the pages where the items are sold and featured, we will advice all designers if you share interest that it is adviseable to send us the images much before the release date. This way it give us the ability to retail your clothes whilst they are desired. In fact, if preferably, we might even be able to participate in branding and promoting the items ahead of the release date. Disclaimer: This page is not easily accessible to the general public and only relative to that whom the link has been shared with, please avoid publicizing the content of this page.